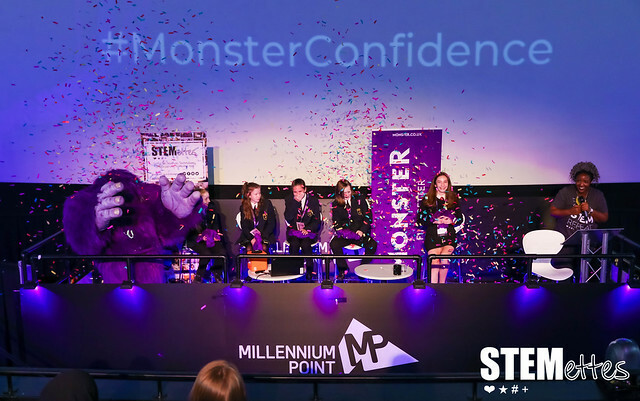 #MonsterConfidence Birmingham – everyone can achieve their dreams! Birmingham welcomed us for our second stop of the #MonsterConfidence tour 2018. On November 6th, 219 girls headed to Millennium Point, ready to be inspired. 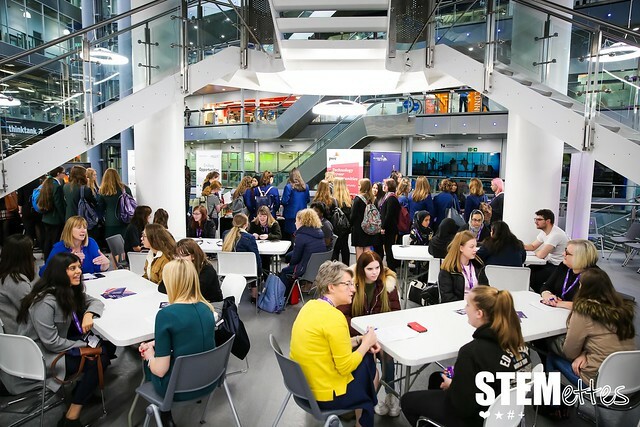 We're working with @Stemettes and @Monster to give a FREE day of interview practice, inspirational talks & career workshops to young women in the West Midlands. Excellent day at the STEM event! One girl even mentioned that “there are more careers that are centred around STEM than I originally thought” and another stated that she learnt “how to be more confident within yourself and how to talk to people with more ease”. Thank you to our hosts and prize partners Millenium Point and to GCHQ, Meggitt, Bombardier and the OR Society. Of course, big thanks to the star of the show, Monster. For more details about the tour, visit https://monsterconfidence.co.uk. For more pictures from the day check out our Flickr! ← #MonsterConfidence London – nothing is impossible!